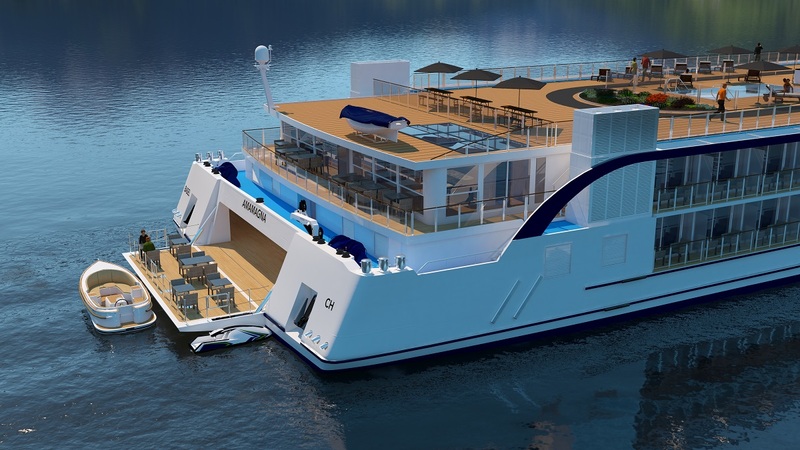 When the AmaMagna debuts on the Danube in May 2019, she will be almost twice the width of traditional European river cruise ships, offering guests onboard far more space than ever before to enjoy their river cruise experience. This game-changing sihp will welcome just 196 guests who will benefit from ultra-luxurious living spaces, with most staterooms measuring 355 sq. ft. or larger. Multiple dining options will be offered – including an al fresco restaurant – and guests will love the expanded entertainment options, a 2,000 sq. ft. Spa and a Watersports Platform for kayaking and paddle boarding – a first for river cruising! Watch now to see how the extraordinary AmaMagna came to fruition.